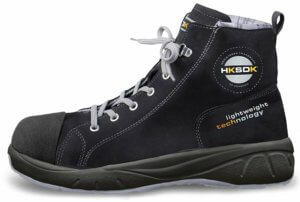 HKSDK’s safety shoes for women combine quality, comfort and design to fit all women. Taken into consideration that men and women are different, we have developed a small range of safety shoes to reach the level of “high-end” demanded by women, who wants to stay in style at all times, still keeping our promise of the highest comfort and perfect fit. • HKSDK “Q” series of safety shoes for women is specially designed to create a perfect match in comfort and design. • H6 white safety shoe is specifically designed for the white sector. Nonetheless, you can also check all our safety shoes and work shoes, which are of course suitable for women and girls.